When it comes to delicate, flattering shades this gorgeous Caramel Melange eye palette from über cool brand ZOEVA takes some beating. Designed to suit all skin tones, it comprises an array of 10 covetable colours in a variety of matte and sparkly textures. Contour and define your lids with toffee, butterscotch and bronzed cinnamon hues for picture-perfect peepers. These formulas blend together like a dream and used with ZOEVA’s multitude of high-tech brushes, you can create showstopping eyes in an instant. ZOEVA’s products and tools are beloved by professionals and make up devotees alike, each one delivering a flawless finish so you can master even the trickiest of make up techniques. This gorgeous Caramel Melange eye palette is a case in point – with an array of confectionary hues from shimmering browns (‘182°’, ‘Liquid Centre’ and ‘Edible Gem’), complemented by gold, berry red and beige (‘Almost Burnt’, ‘Aftertaste’ and ‘Universal Delight’). Free from parabens and mineral oil, the formulas are infused with Vitamin E and contain micronised pigments for an incredibly rich colour payoff. Wax Paper, Start Soft, Finish Sensual, Universal Delight, Aftertaste: Talc, Zinc Stearate, Mica, Octyldodecyl Stearoyl Stearate, Polybutene, Octyldodecanol, Phenoxyethanol, Tocopheryl Acetate, Lauroyl Lysine, Dehydroacetic Acid, [May Contain. +/- CI 16035 (Red 40 Lake), CI 77891 (Titanium Dioxide), CI 19140 (Yellow 5 Lake), CI 77499 (Iron Oxides), CI 77491 (Iron Oxides), CI 77492 (Iron Oxides), CI 75470 (Carmine)]. // Almost Burnt: Mica, Talc, Magnesium Stearate, Octyldodecyl Stearoyl Stearate, C12-15 Alkyl Benzoate, Dimethicone, Nylon 12, Dimethiconol, Phenoxyethanol, Tocopheryl Acetate, Dehydroacetic Acid, [May Contain. +/- CI 77491 (Iron Oxides), CI 77891 (Titanium Dioxide), CI 77499 (Iron Oxides), CI 77492 (Iron Oxides)]. // Liquid Center: Mica, Talc, Octyldodecyl Stearoyl Stearate, C12-15 Alkyl Benzoate, Magnesium Stearate, Dimethicone, Nylon 12, Dimethiconol, Phenoxyethanol, Tocopheryl Acetate, Dehydroacetic Acid, [May Contain. +/- CI 77491 (Iron Oxides)]. // 182°C: Talc, Mica, Zea Mays Starch Zea Mays (Corn) Starch, Octyldodecyl Stearoyl Stearate, Isopropyl Lanolate, Zinc Stearate, Phenoxyethanol, Synthetic Fluorphlogopite, Tocopheryl Acetate, Dehydroacetic Acid, Cyclopentasiloxane, Dimethicone, Dimethiconol, [May Contain. +/- CI 77491 (Iron Oxides), CI 77891 (Titanium Dioxide), CI 19140 (Yellow 5 Lake), CI 77499 (Iron Oxides)]. // Alchemy: Talc, Aluminum Starch Octenylsuccinate, Magnesium Stearate, Caprylic/Capric Triglyceride, Dimethicone, Phenoxyethanol, Dimethiconol, Tocopheryl Acetate, Dehydroacetic Acid, Cera Alba, [May Contain. +/- CI 77491 (Iron Oxides), CI 77499 (Iron Oxides), CI 77492 (Iron Oxides)]. // Edible Gem: Talc, Zea Mays Starch Zea Mays (Corn) Starch, Mica, Octyldodecyl Stearoyl Stearate, Isopropyl Lanolate, Zinc Stearate, Phenoxyethanol, Calcium Aluminum Borosilicate, Tocopheryl Acetate, Dehydroacetic Acid, Cyclopentasiloxane, Dimethicone, Synthetic Fluorphlogopite, Silica, Dimethiconol, [May Contain. +/- CI 77742 (Manganese Violet), CI 77491 (Iron Oxides), CI 77499 (Iron Oxides), CI 77891 (Titanium Dioxide), CI 77492 (Iron Oxides)]. Beautiful palette with very pigmented colours. I can recommend it to anyone who wants to buy a good quality product. My favourite palette! I love eyeshadows, but I very rarely buy palettes. Every time I do though, I buy one from Zoeva. This one is particularly beautiful. The colours are amazing and extremely pigmented and easy to blend. If you love warm tones, this is for you. "Aftertaste" is particularly stunning and I love doing a monochrome lid with it. Can't recommend this enough. Amazing pigmentation, limited fall out, great blendability and great value. I now have 5 of these palettes and I just cannot speak highly enough. I have not found a bad shadow yet. Amazing. This palette is totally worth the price. Great price, amazing pigmentation, blendable shadows. The palette is very slim and sleek. Love it! I tried this palette for the first time today and I love it :) The matte colours are a bit dry, yet they are still pigmented and the shimmers are lovely <3 There was barely any fall out as well, just a tiny amount, which I swept away with a brush and it was gone. This is my first ever non-drugstore palette so I can't really compare it to any other mid/higher range makeup but I would say if you are a beginner and would like to own a better quality eye shadow palette but don't want to splurge on a $40-50 one, try one from Zoeva! I wound up buying a second one for a friend as I liked it so much. I struggle a *bit* with some of the shimmer shades - definitely use either a wet brush or your finger, but the mattes blend very nicely. Love this palette so much! The colours are beautiful and super pigmented, especially love the glittery shadows. I would expect them to be more expensive for the quality you get! This is a beautiful palette. The pigmentation is good, the blendability is effortless and the colours build beautifully. I also really appreciate the slim packaging as it makes for easy storage. Excellent price for the quality. 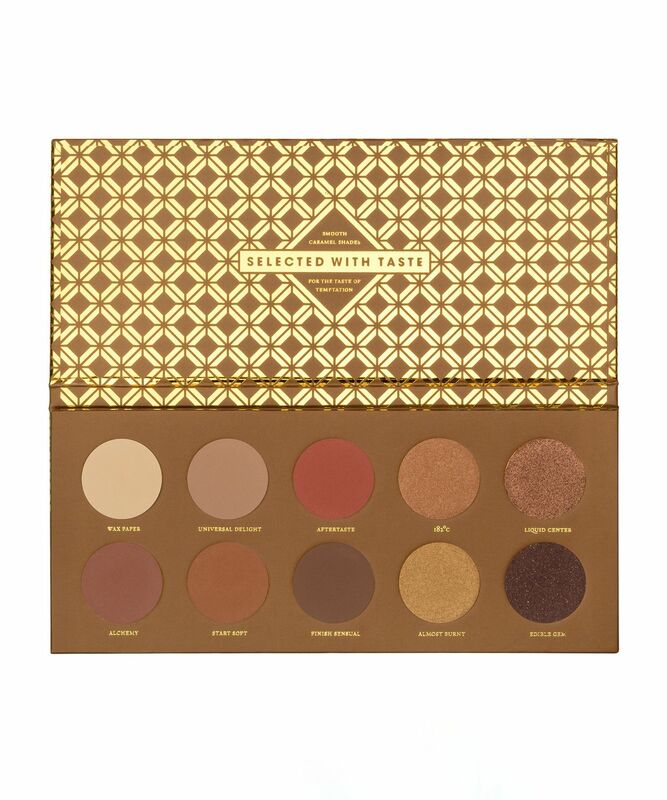 I'm surprised these palettes don't cost more because they're better than some of my high end palettes. I highly recommend this palette. Without a doubt worth a try! I was so blown away by the quality of this palette considering the price! It is out of this world, the eyeshadows are so beautifully pigmented and I can guarantee that they blend with so little effort. Not only that but all the colors fit together so perfectly that no matter which colors you choose to put on your eyes, it will end up looking great. The only downside about this palette is the dark brown eyeshadow, Edible Gem, in the bottom right corner. It has got gold shimmers in it, but then when you try and blend it out the shimmer will give you some fall out, but it's not really something to complain much about. Other than that it's a beautiful palette, and I would not hesitate to especially recommend it to beginners. It's cheap, the quality is wonderful, the eyeshadows blend so easily and all the colors complement each other very nicely. 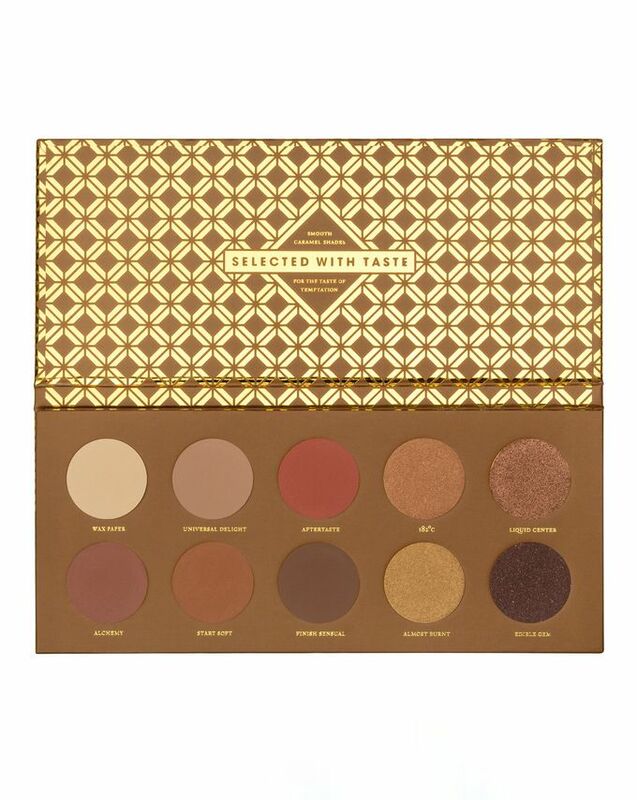 You just cannot go wrong with this palette and I know I will end up purchasing the other two palettes in this collection, too, even though the eyeshadow colors in those two didn't speak to me in the same way as this one did. It's really that good. Always have loved the packaging of the Zoeva palettes. They're so beautiful. I especially love the colours in the Caramel Melange. It's small and compact, perfect to carry in a handbag.